I’ve been home from Quebec for nearly two months and I am still recalling how awesome that trip was. 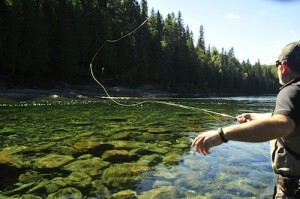 I’ve been revisiting it quite a bit lately, having spent the last few days penning my piece about it for Fly Rod & Reel. That article will come out in the winter issue, which is slated to hit the shelves around mid-December. 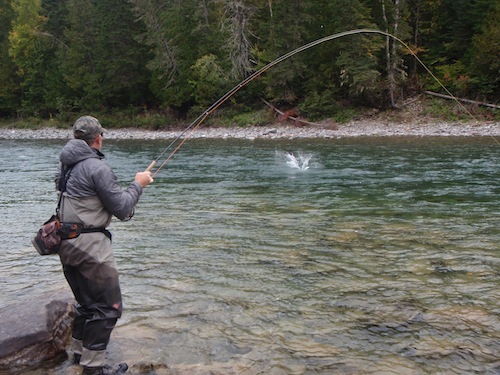 In the meantime, I wanted to share a few images that the guides at Camp Bonaventure and Salmon Lodge took of me and photographer Geoff Moore. Talk about spoiled—we were living a dream for sure. Enjoy. Making a nice huck on the Bonaventure. 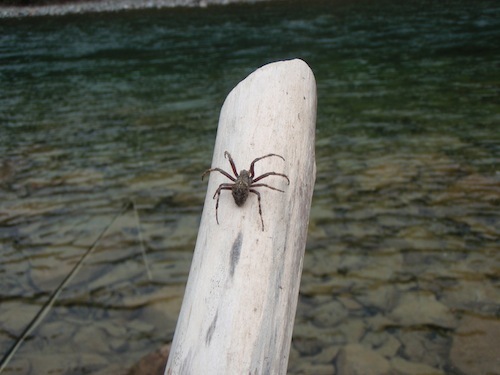 Saw this bad boy crawling along on the rocks, side of the river. Could you imagine taking a break from fishing, leaning back on the rocks and having this sucker climb onto your neck? Break for lunch? Ok. I remember feeling pretty damned spoiled right here. But I took all in, including the wine. Oh yea, that’s the way you want a rod to be. What? How’d you get up there so fast. Nice landing from a big Atlantic salmon. This entry was posted in CANADA, Photography, Travel, US & Canada and tagged Bonaventure River, Gaspe, Quebec. Bookmark the permalink. 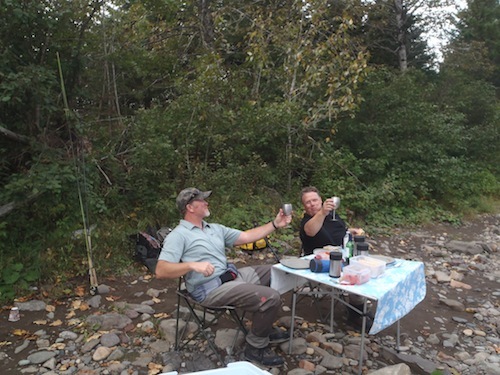 Sorry to hear about the end FRR, almost enjoyed it as much as fishing with you. 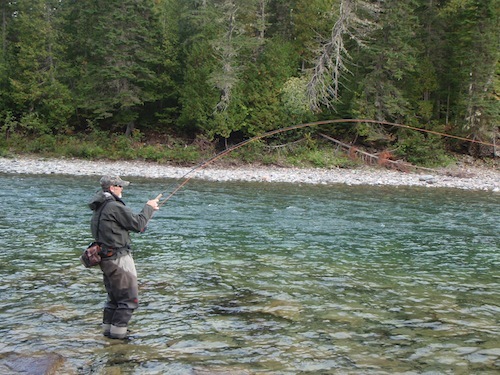 The Bonaventure trip in Sept. 2012 was a real joy and highlight in my fishing memoir. 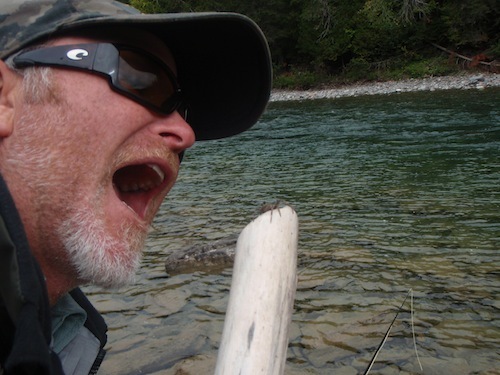 I still enjoy eating the tails of trout and spreading the belief of good luck to come…my first salmon ever being a 30lbs hen cemented that theory. Loved reading your account of that trip and didn’t know if you new of a link or a way to acquire a copy of that issue. Can’t find mine and would love to have one. Best of luck in all your future endeavors, I’m sure they will be bright. If you find yourself back in Maine for any reason…I’d be happy to turn you on to some tails.